If buying a new camera was one of the things to do this year, you might be intrigued by a launch from Sony, which brings 4K filmmaking and the world’s fastest autofocus to a mirrorless interchangeable lens camera in the a6400. The world has changed drastically in the past five years from where it was before. We’ve had cameras in phones for a number of years now, but in the past five years, they’ve become seriously good. So good, in fact, that the need for a real camera has dropped. These days, you tend to get a real camera when you’re intending to use lenses and reaches to get better or different shots, or capture images faster with more detail, or even do some filmmaking in 4K Ultra HD. That tends to be where the excellence of interchangeable lens cameras arrives, as they offer a more versatile and capable camera than what your phone can deliver. From February, there’ll be another one to choose from, and it’s one that aims to compete on price, too. It’s Sony’s latest mirrorless, the a6400, a compact interchangeable lens camera smaller than its a7 and a9 cameras, and sporting a smaller sensor. While Sony has been playing with full-frame sensors in its single digit cameras, its four digit bodies use the smaller APS-C sensor, which means you get the centre rectangle of the lens, what many regard as the best part of the lens. 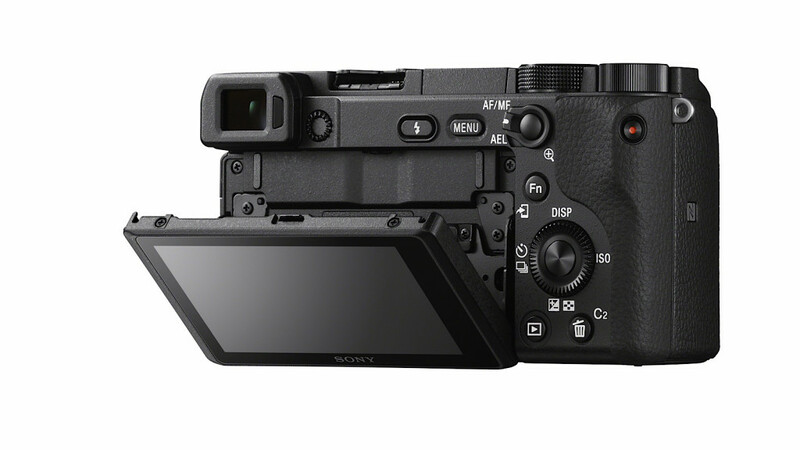 Sony’s a6400 features a 24.2 megapixel sensor to grab those images, and can capture images at 11 frames per second, making for a fast camera. You’ll find support for 4K movie recording, and a 180 degree tiltable touchscreen that swings up and allows you to watch yourself as you capture not just selfie images, but selfie videos, as well. Attach the Sony a6500 to a selfie stick and you potentially have a higher quality selfie camera than what your phone can deliver. 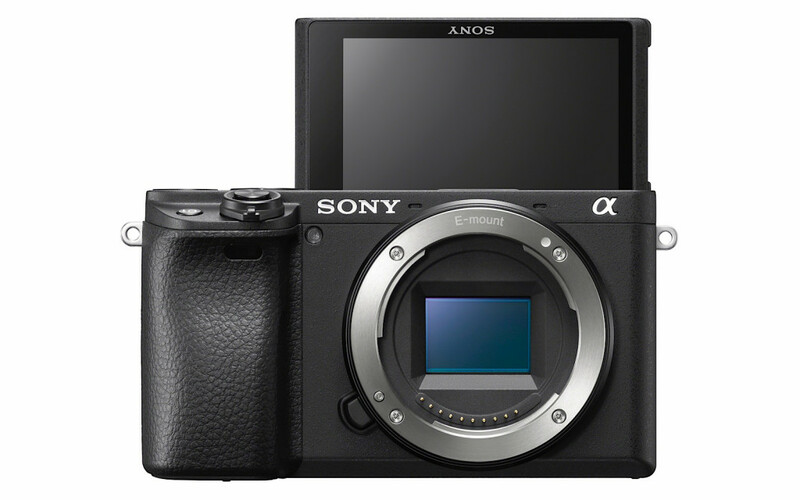 There’s also the area of focus, and Sony’s a6400 is aiming to help out as much as it can, setting a record in the process, offering real-time eye-based autofocus, and also the world’s fastest autofocus for APS-C lens cameras hitting an acquisition speed of 0.02 seconds. Sony has provided support for 425 phase detection points to cover the area, making that autofocus get more of what it needs to see, and there’s even some AI-based object tracking, using a combination of colour, depth, and brightness to ensure something is being captured in clarity when this is used. Think of it like an auto-follow to work with auto-focus, and could be handy in those selfie modes, especially if you’re capturing video and feel like you need a camera-person to make the shot work. These features come together in a magnesium alloy design built to be dust and moisture resistant, and also capable of talking to phones and tablets wirelessly. It can even be charged by directly plugging it into a USB plug. 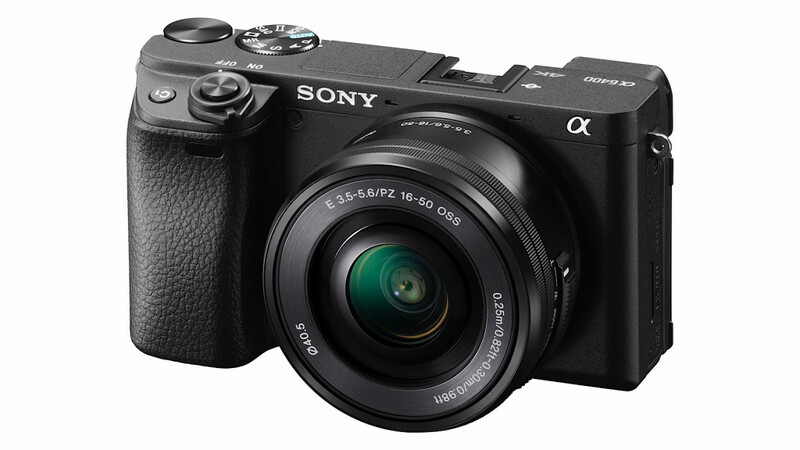 You’ll find it in stores from February, where the body only price of the Sony a6400 will be $1499, while a version with a 16-50mm kit lens (F3.5-F5.6) will arrive for $200 more at $1699.